JOHANNESBURG – ARGUABLY a first in South Africa and most probably the continent, a new mobile application has been created making bakkie hiring services easily accessible to people who need to move their property. Bakkiefy, as the invention compatible with iOS and Android is known, is a brainchild of a Zimbabwean youngster, made possible with collaborations with fellow youths in South Africa. Much like ridesharing services such as the Uber, Bakkiefy is a web-based tool and mobile phone app that provides a mechanism to match up those seeking help moving items with drivers that have bakkies. Bakkie is a South African term for a pickup or is a light-duty truck having an enclosed cab. It is popular among individuals, mostly residents moving their houseware between apartments, or companies moving their properties. Innovator, Darlington Sibanda (28), is the brains behind the Bakkiefy phenomenon. “I wanted to ferry a fridge from a flat I used to live to my friend’s flat in Randburg,” Sibanda said in an interview with CAJ News Africa. What makes the invention more fascinating is that Sibanda studied Humanitarian Work, after enrolling at the University of Zimbabwe (UZ) School of Social Work. His primary and high schooling also makes for interesting reading, having studied at modest and rural schools in poverty-stricken Matabeleland North province south of Zimbabwe. “I’m passionate about leveraging on technology for social impact and inclusion, creating social and economic opportunities for all,” Sibanda said. 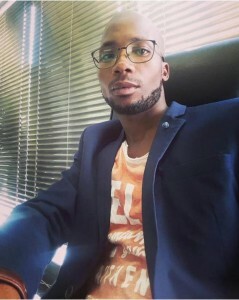 Bakkiefy came to fruition after Sibanda partnered with a former secondary classmate, Bheki Ndlovu, an actuarial scientist who studied Computer Programming in South Africa. Ndlovu would later impart his skills as business adviser to Sibanda and his South African business partner, Tshepo Mohlala. “I shared the idea, then he showed me some of the apps he had developed. That’s how it all started,” Sibanda said. The innovators are preparing to launch the app commercially on July 18. It will initially serve the major cities of Cape Town, Durban, Johannesburg and the capital Pretoria. They have ambitious plans to expand the service to cities in Botswana, Kenya, Mozambique, Zambia and Zimbabwe as well the rest of the continent, with time. Bakkiefy works at the click of a button. The moment a customer orders a bakkie, it connects to the driver who is nearest to them. The Bakkiefy driver will help them with loading and unloading. Drivers at Bakkiefy App will take responsibility for customers’ items. Bakkiefy drivers must qualify through stringent tests for driving and necessary certification. They are legally authorised to work in the city of operation and need to have a valid driver’s licence. “They must undergo a background check and pass an alcohol and drug screening. Their auto insurance must be valid while their vehicles must comply with all industry standards as traffic regulations governing respective cities,” Sibanda said. Bakkiefy falls under the Skhibela Investment Group (SIG), which Mohlala founded in 2010. Mohlala is Chief Executive Officer of SIG, which has interests in film production, marketing, mining and technology. At SIG, Sibanda is chief operating officer while Ndlovu is the business strategist. Siphamandla Ngwenya is the App developer. “Their skills and expertise in business are an advantage. Their bright ideas and creative cognitive abilities, the abilities to dream bore fruits to the growth of their business empire,” Sibanda said of his colleagues.